The welcoming sand beaches of Hog Island, PEI. Islands. The very word evokes romantic images of escape and discovery. Maybe it’s the sense of crossing water and leaving the known world behind. Maybe it’s the lingering effects of magical island-based books we remember from childhood. No matter why, the mere mention of an island vacation is enough to make eyes turn dreamy and thoughts turn to adventure. In Atlantic Canada, the choice of island vacations seems endless. Most people know about the major islands of Newfoundland, PEI and Cape Breton, but there are many tiny island gems that are also perfect for a vacation by the sea. Some can be reached by car ferry and offer all the comforts of home; others involve a wilderness adventure by boat or foot. The choice is yours among New Brunswick’s Fundy Isles, Nova Scotia’s Tancook Islands and Brier Island, Prince Edward Island’s Hog Island and the nearby Îles de la Madeleine, and Newfoundland’s island-studded Bay of Exploits, to name a few. One hundred billion tons of water flow in and out of the Bay of Fundy on each tide, resulting in the world’s highest tides and waters teeming with life. Bald eagles and osprey dive for fish alongside eiders, cormorants, guillemots and gulls, while harbour seals loll on the low tide rocks within sight of clam diggers, seaweed harvesters and periwinkle pickers. Offshore, fishermen and aquaculture sites share the waters with whales, porpoises and dolphins, all thriving in the nutrient rich soup stirred up by the tides. At the mouth of the bay, New Brunswick’s Campobello, Deer and Grand Manan islands are fun for armchair and outdoor adventurers alike. Everyone has a sea voyage on this vacation, riding the car ferries that connect these rocky islands to the mainland while observing a variety of marine life. The 20-minute free ferry ride to Deer Island leaves from Letete, just up the road from the town of St. George. During the crossing, water rushes through narrow passages between tiny islands, creating an ever-changing seascape of tidal rips and churning whirlpools. In fact, the largest whirlpool in the Western Hemisphere, a sucking grunting maelstrom known as the “Old Sow,” appears off the Deer Island’s southern tip on every flood tide. From the island ferry landing, a road twists along the island coastline past a grocery store and gift shops, through villages named centuries ago for fishing and boat building families whose descendants still live here. Vacationers can enjoy whale watching and sea kayaking, or simply relaxing at an inn or B&B overlooking the sea. Don’t forget to dine out on succulent Bay of Fundy scallops, delectable lobster, crispy fried clams, and fresh fish cooked to perfection! From the campground on Deer Island’s southern tip, a seasonal ferry makes the short crossing to Campobello Island, where past US President Franklin Delano Roosevelt and his wife Eleanor had a much-beloved summer home. Their house can still be seen in Roosevelt-Campobello International Park, not far from the Roosevelt International Bridge that joins the island year round to Lubec, Maine. A nine-hole golf course, fish market and liquor store are among the amenities offered by the island, not to mention superb biking, hiking and sea kayaking. The most photographed landmark, though, has to be the picturesque Head Harbour Light, now a base for whale rescues in the Bay of Fundy. Grand Manan, the largest Fundy Isle at 25 km long by 11 km wide, is an hour and a half trip from Blacks Harbour on the mainland. Two busy car ferries offer a choice of trips each day, and passage can be booked through Coastal Transport Limited with the ticket cost being paid when leaving the island. Not that you’ll want to leave—in the last two centuries, many bird watchers, cyclists, hikers, historians, geologists, kayakers, naturalists, artists and writers have found the island so appealing that they stayed for good. The island villages offer services from hotels, inns, B&Bs and campgrounds, to art galleries, a museum and every possible kind of nature excursion. During the summer tourism season, it is wise to reserve in advance. August and September are the best time to see the endangered North Atlantic right whales that mate in these waters, but from spring to fall more than 325 bird species frequent the area, including the Atlantic puffin with its brightly-coloured beak and the once endangered eider duck. 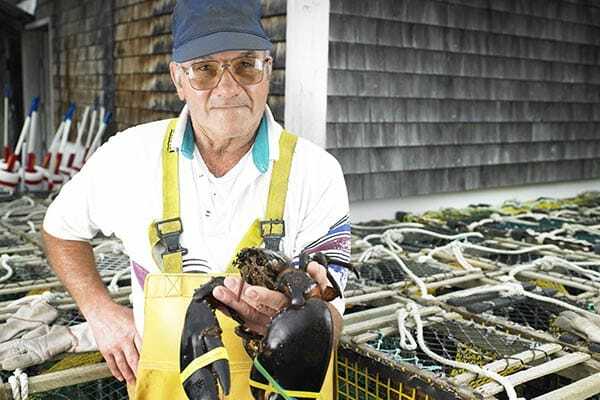 Grand Mananers are wonderful storytellers who enjoy regaling visitors with tales of shipwrecks and rescues while offering a taste of the local purple seaweed otherwise known as dulse. A completely different landscape unfolds across the 13 km Confederation Bridge joining New Brunswick to the red cliffs and golden beaches of Prince Edward Island. More than a million vacationers flock here every summer to bask on the sand and enjoy the Island’s many amusements. Yet there are still secluded areas where nary a human footprint can be seen. Boaters are privy to the best places, such as the long dune islands that stretch along the northern coast in the Gulf of St. Lawrence. In summer, the air and water are warm, and the main island forms a barrier to prevailing winds, but small boats must watch carefully to avoid the fishing vessels heading to sea at full speed. 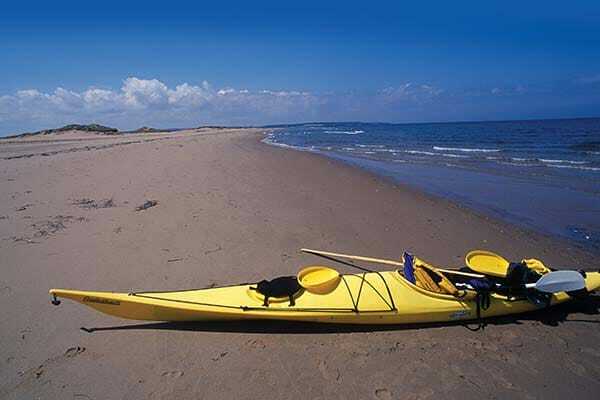 Hog Island, just outside Malpeque Bay, is an ideal vacation destination for sea kayakers wanting a short trip or a few days of wilderness camping. There are many possible put-in spots along the bay, such as Cabot Beach Provincial Park, a short paddle from the island’s eastern end. Only one small building and a raised navigation light indicate that humans have ever visited this island paradise. On the northern shore, pristine sand beaches stretch for kilometres with steep grassy dunes rising behind. Visitors must tread gently on these tall marram grasses since only their delicate root network prevents the entire island from washing into the sea. Along with beach combing and swimming, anyone with a mask and trowel can dig a feast of delicious bar clams in the shallow waters. Not far away in the Gulf of St. Lawrence, a similar dune ecosystem exists in the larger Îles de la Madeleine, or Magdalen Islands. Though Quebec-owned, these islands are connected by a five-hour full-service ferry from Souris, PEI, and even once belonged to Newfoundland. In his 1534 ship’s journal, Jacques Cartier praised the beautiful trees, fields and flowering plants he observed on the islands. Today, the trees have fallen to many generations of inhabitants, but the beauty remains along with the French heritage. More than 13,000 people of primarily Acadian descent live on the six main islands of the 12 in the archipelago, most making their living from fishing and tourism. The result is a bilingual haven for vacationers, particularly if you make reservations ahead. Île du Havre Aubert, Île d’Entrée, Île du Havre aux Maisons, Île du Cap aux Meules and Brion islands, along with Rocher aux Oiseaux beckon to hikers, bikers and bird watchers in search of Atlantic puffins, Northern gannets and the tiny endangered piping plover. In early spring, the airport is busy with nature lovers hoping to photograph the harp seals giving birth to their white fuzzy pups on the Gulf ice pack. Route 199 links most of the islands along a 100 km stretch while smaller side roads, better suited to bicycles than cars, meander through an emerald green landscape to the sea. In summer, try swimming in the warm water, or shopping for local pottery, knitting, rugs and paintings. The cultural immersion even includes French cuisine and fine wines, an asset on any vacation. Almost an island in its own right, Nova Scotia is blessed with thousands of small offshore islands, most as different from the sandy Gulf of St. Lawrence dunes as can be imagined. Facing the wide Atlantic Ocean, the South Shore Lighthouse Route leads to many island destinations, but few offer a better example of traditional maritime life than the Tancook Islands, in Mahone Bay, and Brier Island, at the head of the Bay of Fundy. 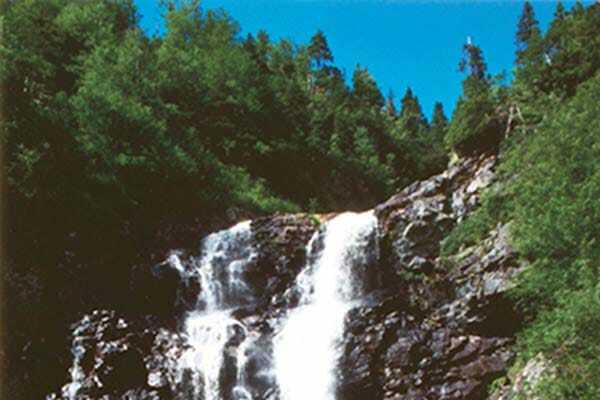 The first is an easily accessible day trip that starts less than an hour south of Halifax. A passenger ferry leaves from the picturesque town of Chester on an hour-long crossing to Little Tancook and Big Tancook islands. The more adventurous can also choose to tour the Tancooks by sailboat or sea kayak. Big Tancook, largest of the 365 islands in the bay, is about 5 km long by 2.5 km wide and has an elementary school, a post office and a government wharf, as well as a busy fishery. There’s also a museum, a grocery with local sauerkraut and great places to swim, for those who don’t mind a cool ocean dip. Rock hounds will find the boundary of the Halifax and Goldenville geological zones here, resulting in fascinating metamorphic formations next to limestone fossils, as well as the flooded remains of an old abandoned gold mine. Another traditional fishing station, but in the tidal extremes of the Bay of Fundy, 7 km long by 3 km wide Brier Island has a thriving ecotourism business. For generations, birders have flocked to this westernmost point of Nova Scotia to monitor spring and fall songbird and raptor migrations and to observe the many species of land and marine birds on and around the island. You can also watch whales feasting in the Bay of Fundy’s rich waters—North Atlantic right whales, humpback whales, fin whales, minke whales and three types of dolphins, as well as the occasional sei, sperm, pilot and beluga whale. A trip to Brier Island is an adventure that involves a spectacular three quarters of an hour drive along the top of North Mountain and down along a twisty shore road to the landing at East Ferry. From here the open car ferry takes about 10 minutes to reach Tiverton, on Long Island, where a short drive takes you to a second short crossing. The ferry arrives at the busy fishing village of Westport, where services include accommodations, restaurants, and outdoor adventures that range from self-guided hikes to marine cruises with expert interpretation. In fall, you can volunteer for bird monitoring through the island research station, owned by Acadia University. Most remote of these Atlantic destinations is the Bay of Exploits, a sheltered island-studded body of water off Notre Dame Bay in north central Newfoundland. The bay is part of Iceberg Alley, where the spring break up of northern ice floes sends ice chunks the size of ocean liners sailing majestically southward. This is also the area where the Beothuk First Nations spent summers reaping the bounty of the sea and where the last known Beothuk, Shawnadithit, lived in captivity with John Peyton for several years before her death in St. John’s in 1829. Both the natural and the human history are larger than life here, and are complemented by the large hearts and warm hospitality of the Newfoundlanders. There are no ferries or services on the Bay of Exploits islands, but wilderness camping with any of the outfitters that run sea kayaking trips there is a vacation you’ll never forget. There is Ochre Pit Island, where the reddish-coloured earth rubbed on by the indigenous people lead to their being known as “Red” Indians. 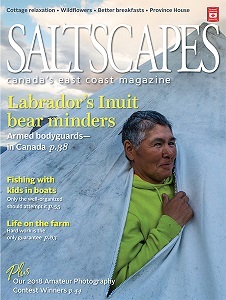 Swan Island features a haunted campsite at Twisty Ann’s Cove, and the two square kilometres of Upper Black Island house an estimated 32 moose. Beyond dozens of smaller islands, lie the twin mounds of Exploits Islands where John Peyton is buried. Accessible only by floatplane or boat, the islands’ neatly kept houses are connected by plank walkways and cling to the foot of ancient rock hillsides. They symbolize the indomitable spirit that lives on and thrives in the world of the Atlantic islands. 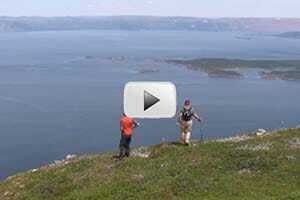 Hiking the Copper Mine Cape Trail near Corner Brook Newfoundland.